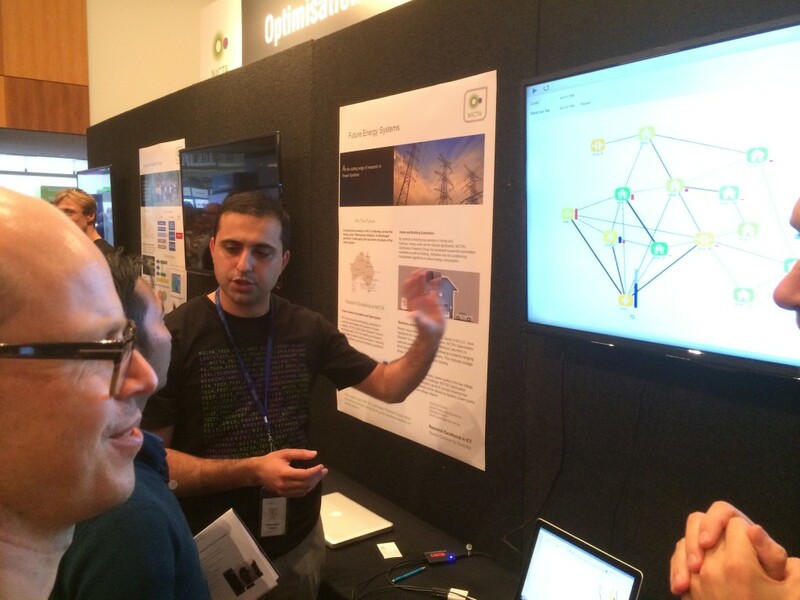 Australia’s information & communications technology research center of excellence National ICT Australia Ltd (NICTA) held the 2015 edition of their annual Techfest showcase at Sydney’s Australian Technology Park (ATP) on Friday 20th February. NICTA’s Techfest is designed to offer their diverse engineering, technology & business teams nation wide the ultimate “show & tell” platform upon which to promote and demonstrate their impressive range of world leading innovations. The ATP’s massive exhibition hall bay #4 was filled to capacity by a sell out crowd which left standing room only, as the Hon. Malcolm Turnbull, Federal Minister for Communications opened the event with a stirring speech which set the stage for what turned out to be a very impressive event. 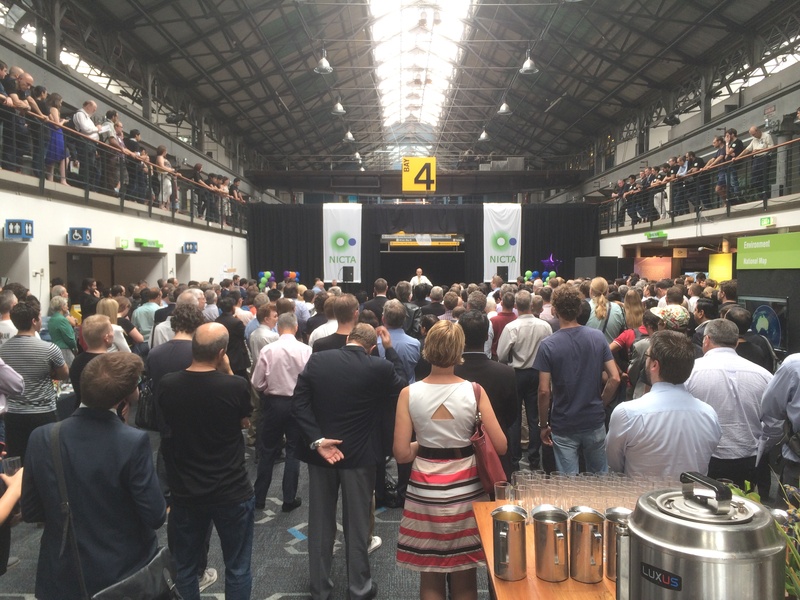 The minster delivered a clear message aimed in part to students in attendance on the day, leaving nobody in any doubt where the minister believed Australia’s future lay. “Reading, Writing, Arithmetic & Coding” said Turnbull, outlining the skills he believed primary and high school students would need if they were to play a part in shaping Australia’s future. Techfest 2015 offered visitors over 30 locally produced world leading technology innovations developed by NICTA’s scientists, researchers, engineers and business teams, who endeavor to deliver commercial capabilities and outcomes across a diverse range of technologies, including the likes of secure drone operating systems, vision processing systems, spatial data & big data analytics, three dimensional global positioning systems, power grids & energy, health & wellbeing, transport & logistics. 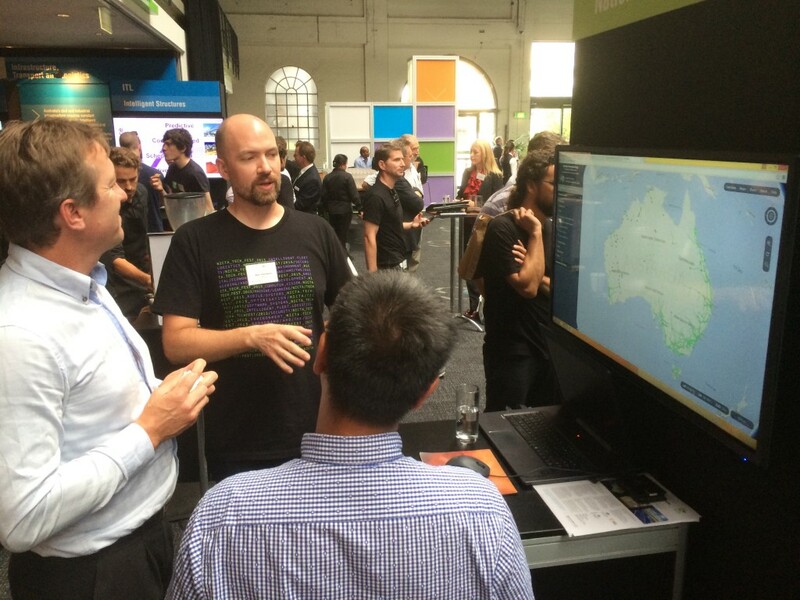 Visitors to Techfest had the rare and privileged opportunity to interact in person, with an impressive array of Australia’s leading data scientists, technology researchers, engineers and students, all of whom when demonstrating their projects, left no doubt in anyones minds just how seriously they are taking the heady challenge of delivering the next wave of technology & business innovations. The first highlight for visitors as they passed through the main entrance of Techfest 2015 was the impressive number of companies NICTA has created, which were on display with their own stands, immediately upon entering the hall. 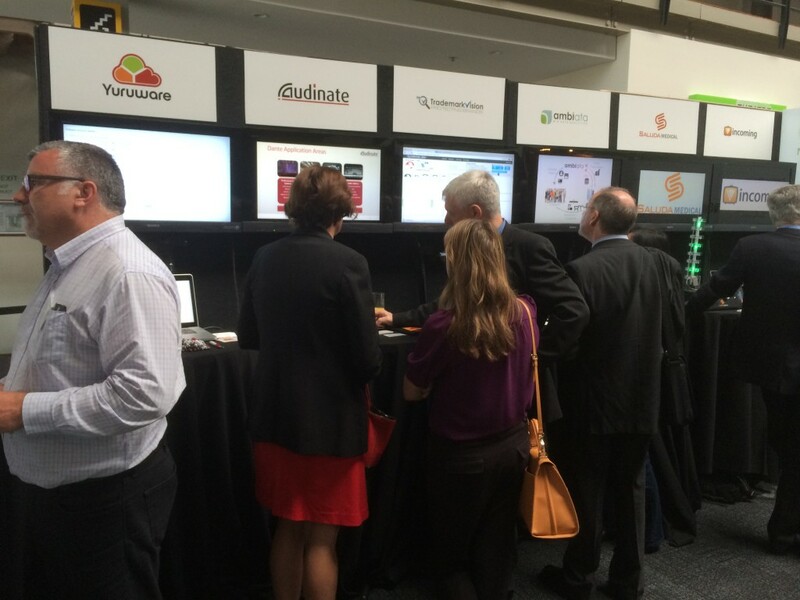 Companies which are now contributing to Australia’s burgeoning start-up scene, including names like Audinate, Saluda Medical, Ambiata, Incoming, Trademark Vision and Yuruware (now part of Unitrends). The next immediate highlight for visitors to Techfest entering the main hall was NICTA’s Digital Careers section, proudly hosted by an energetic team who ran physical demonstrations, coding and systems design challenges aimed at school-aged students there on the day, offering an insight to the many routes by which our future generations of technology & business innovators could travel with the support of NICTA, on their journey to help build Australia’s future. Each display & stand offered a unique new project as visitors wove their way around the floor, with research and development in areas such as future energy systems, trustworthy computer systems, dependable cloud computing, hyperspectral imaging, MAGIC a system which provides insight from data without seeing the actual data, big data, predictive analytics for enterprise, broadband and the digital economy, and even a 7 set process to business fitness. Natural resources, energy and environmental topics also featured projects including innovation in flood evacuation planning, groundwater monitoring, modelling & optimization, visual processing and visual global positioning system tracking, mapping systems, air quality prediction, renewable energy, health & well-being. 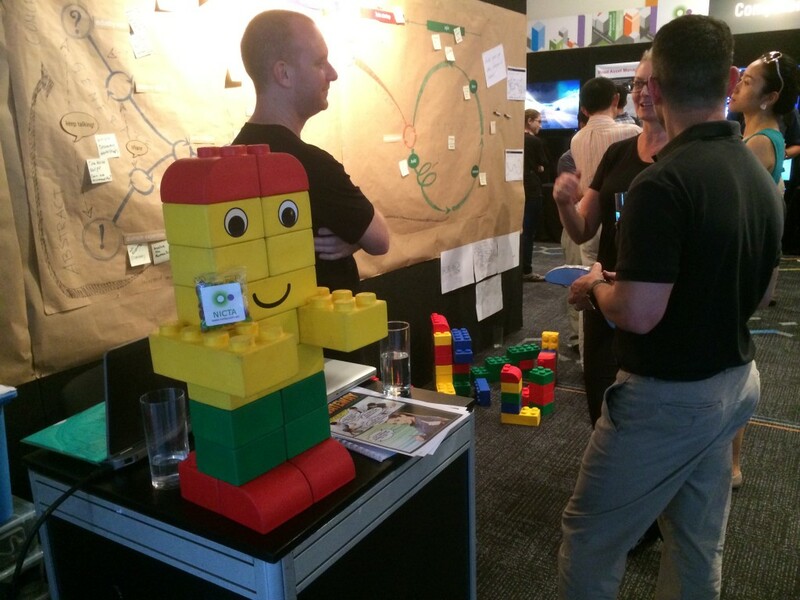 Techfest 2015 offered so many impressive and awe inspiring innovations, it would be impossible to describe them all. The following highlights will give you some insight into the depth and breadth of the demonstrations on offer. 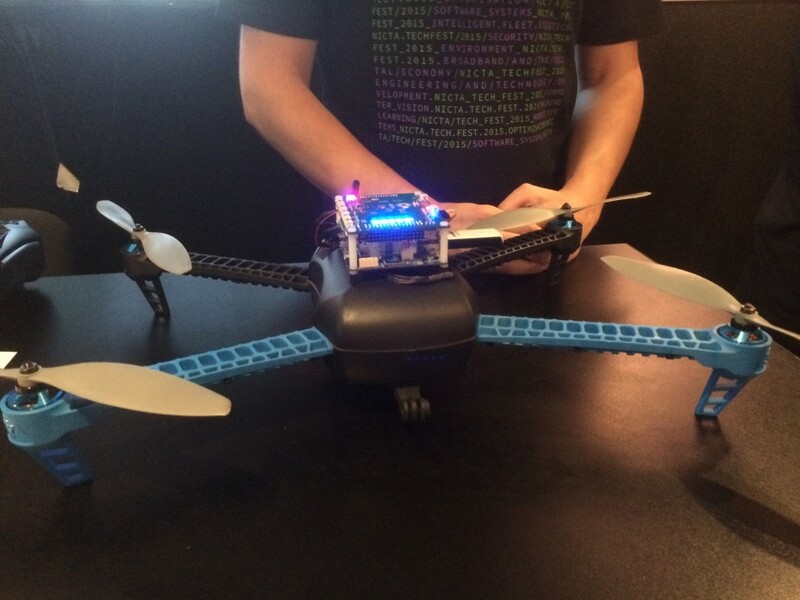 Secure Drone: a large software security project funded by the U.S. Defence Advanced Research Projects Agency (DARPA), aimed at inventing ‘unhackable’ software to solve emerging security problems for cyber-physical systems, such as aircraft, cars & medical implants. 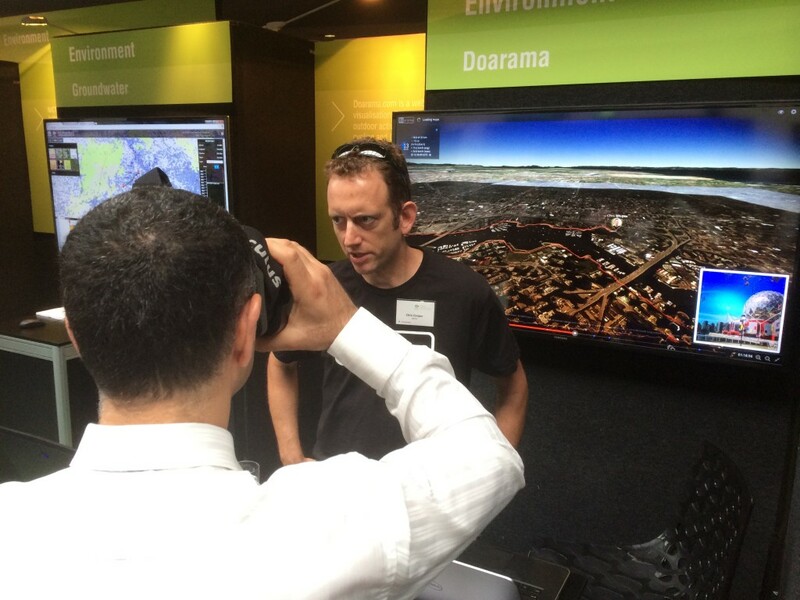 Doarama: a 3D GPS track visualization system, using the latest Oculus Rift (SDK2) virtual reality headset, with photo & video synchronization, supported within a web browser. 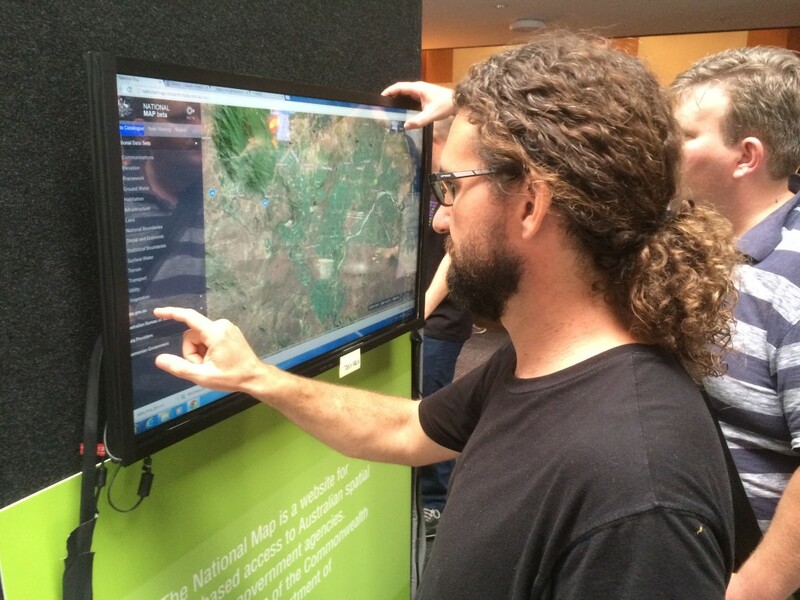 National Map: a sophisticated web-based map viewing system developed for the Department of Communications in conjunction with Geoscience Australia, to provide map-based access to Australian open spatial data retrieved directly from data services from Government agencies. Bionic Eye: a vision processing system research initiative by the Australian Research Council called Bionic Vision Australia. 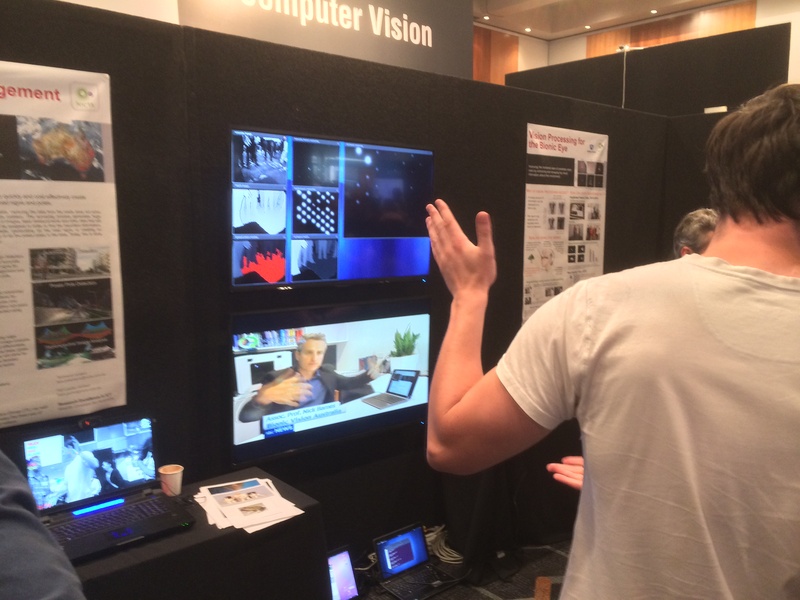 Using a simulator Nick Barnes showed what patients may see using NICTA’s vision processing with a new retinal prosthesis device. Bionic eye is planned to undergo patient trials later this year. 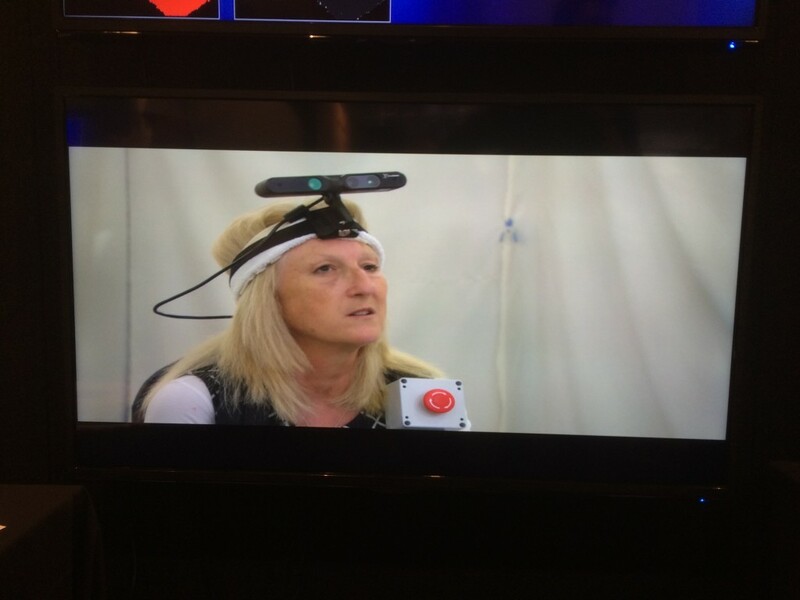 VibroMat: a device designed to assist people with low vision with mobility, by representing visual information captured by a camera worn on the head as tactile stimuli on the back, the first time the new VibroMat device had be publicly demonstrated. 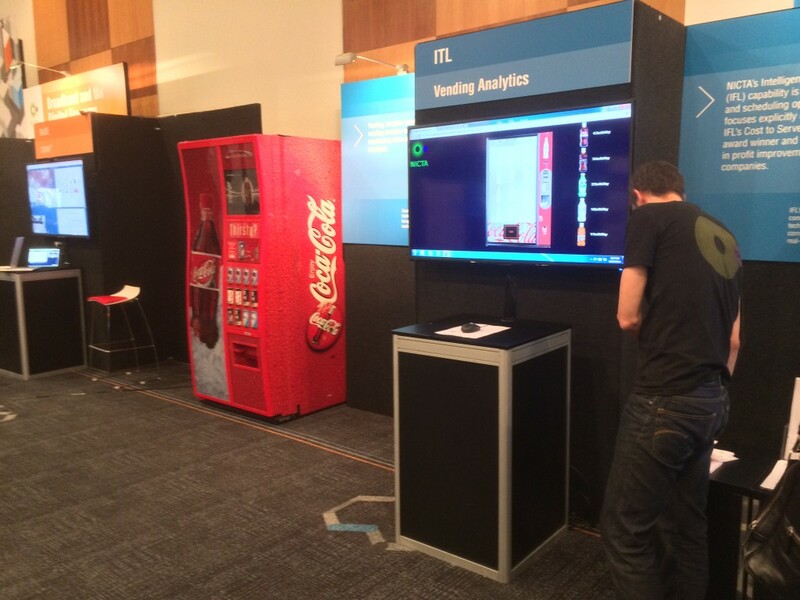 Vending Machine Analytics: a project which emerged from a Coca-Cola Firehose hackathon, where visitors to the Vending Analytics stand got to play a space-to-sales optimization game, demonstrating the challenges around how to best configure vending machines, so that the number of visits to the machine for stock replenishment are minimized resulting in fewer visits, which in turn saves time and ultimately money, making managing a fleet of vending machines more profitable. Power Grid Game: a project aimed at exploring the structure of power networks, looking at the impact of multiple sources of power generation being distributed through a grid, and the move to meshed networks. Complicated ‘mesh’ models can behave in surprising ways. In this demo, users were invited to change the structure of the network to try to obtain the best and most efficient generation and transmission of electrical power, while supplying the varying electricity demands of customers. Established in 2002, NICTA, Australia’s Information & Communications Technology Research Center of Excellence, has the largest concentration of ICT researchers in Australia. 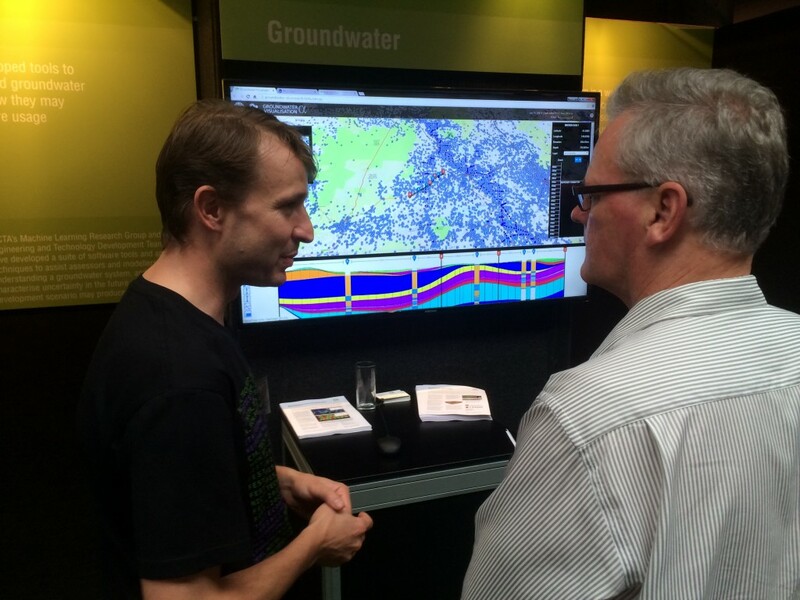 Their research focuses on use-inspired basic research that benefits industry, the community and national interest. 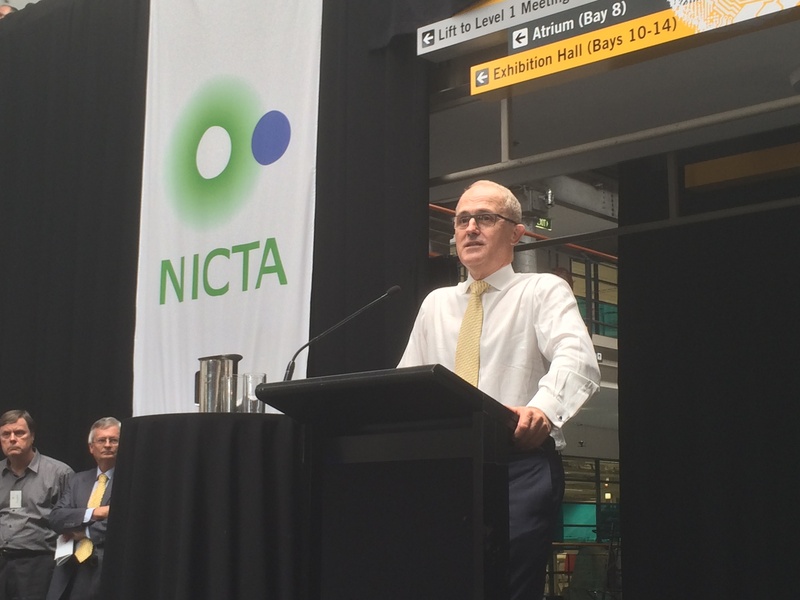 NICTA now have five separate sites across Australia, one each in Brisbane, Canberra, and Melbourne, and two in Sydney. In just over a decade, NICTA has build an impressive research capability in software systems and optimization, mobile systems, machine learning, computer vision, and telecommunications. NICTA’s business teams support engineers, researchers and scientists by taking new innovations to market including development in broadband, the digital economy, infrastructure, transport and logistics, security, and the environment. 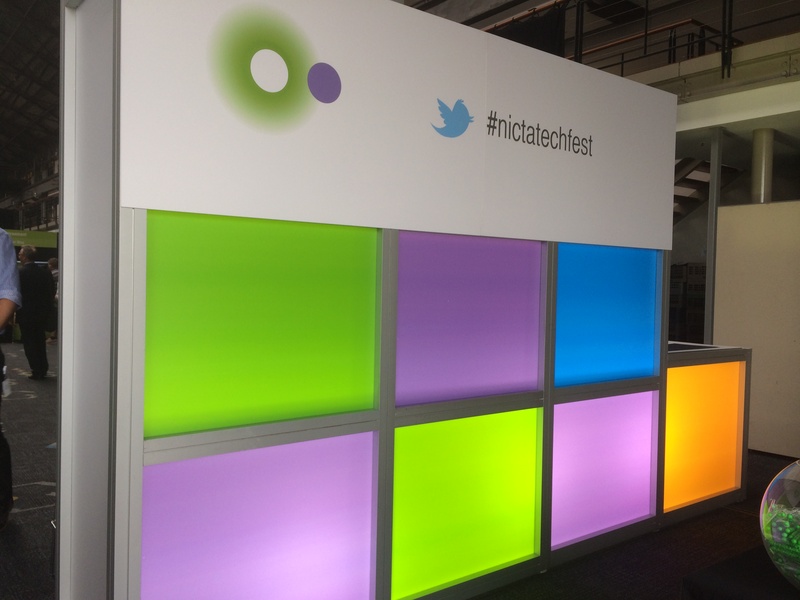 If you didn’t make it to NICTA’s Techfest this year, you certainly missed one of the key events on the 2015 calendar. 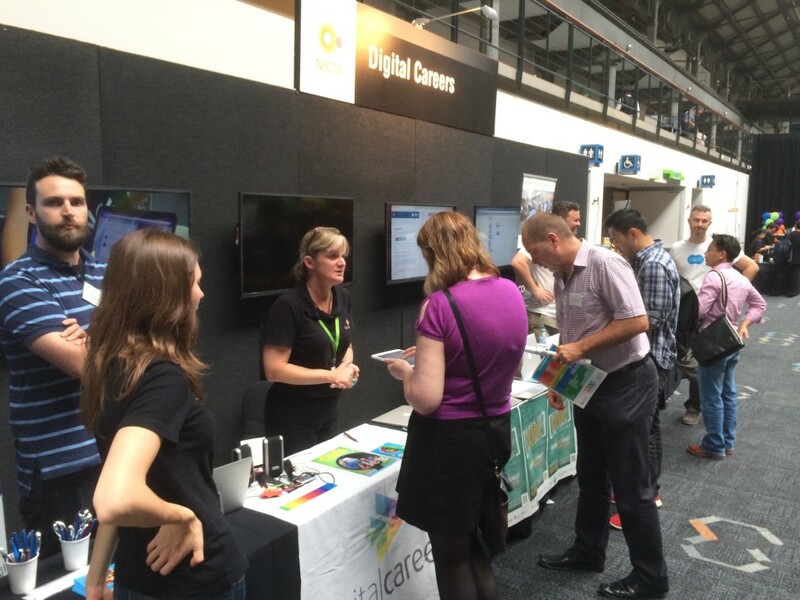 If NICTA’s Techfest 2015 was any indication of what we’re likely to see at next years event, it will certainly not be an event to miss in 2016. For more information, to contact NICTA, or to just keep up to date on the latest news and information, they can be contacted by phone and email or you can visit them on the web. And be sure to follow them on Twitter.